Quick, and gives you some nice new ways to think about landscape photography. I didn’t know about the different kinds of lighting, so that was helpful, just a little low on details. Assignment: Find a favorite landscape around you, and go out to get a good “blue hour” photo, and a good “golden hour” photo. A lot of landscape photography is getting out there when the light is best, to really capture the view in different styles to evoke different emotions. Different lighting can have a big effect on the appearance of a landscape. “Blue hour” is about an hour before sunrise up till sunrise, and after sunset till about an hour after sunset. But at sunrise and sunset it’ll be on opposite sides, so take that into account. Light is very directional at this point, creates nice shadows. Resist the temptation to always put the sun in the photo, it can be more interesting to shoot perpendicular to the sun. 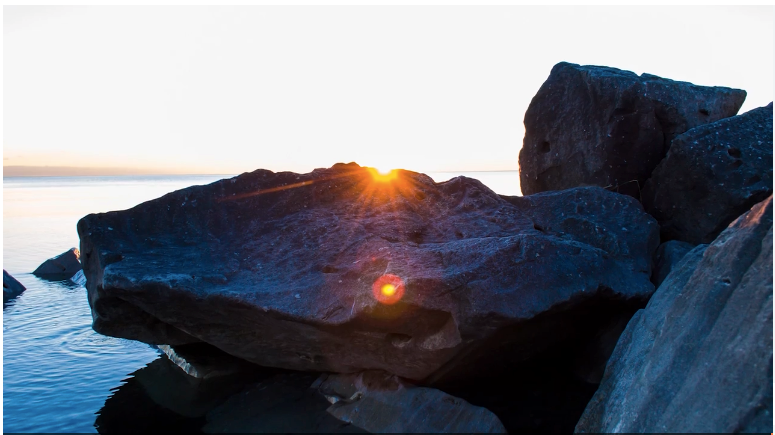 Place objects between your camera and the sun to add interesting shapes to your photos. About an hour after sunrise, and an hour before sunset. The light doesn’t change that quickly this time of day, so try shooting in manual mode. Keep trying to go perpendicular and incorporate interesting objects. Try setting your aperture super high, like f/18, which will keep your whole scene in focus and can add some really nice sparkle to your photos. Photos will be much less interesting between the morning golden hour and the evening golden hour. They won’t have that pop, won’t have as interesting of lighting as they could have. Put in the effort to go out at good photo times! Stay after the sunset! There are still great photos, and other people will leave then.